Reading is the Magic Key; it takes you where you want to be! At Winlaton West Lane, we believe that reading is the magic key; it takes you where you want to be! Reading plays a vital role in the development and education of your child. Here at West Lane, we ensure that pupils have lots of opportunities to read in lots of different contexts. We continually strive to promote a love of reading to ensure that pupils are ready for the next stages in their learning. If you would like to find out more about reading at West Lane, please contact our Literacy Leader, Mrs Bell. You may also find some of the downloadable documents below to be useful. In Early Years and Key Stage One we deliver a consistent approach to phonics using the Letters and Sounds programmes to deliver the new requirements of the national curriculum (2014). Every pupil in Early Years and Key Stage One learns to decode (sound out) words that they read and spell. Reading is linked into understanding what they have read and also links into short writing activities. Using small group work on a daily basis allows staff to pinpoint any individual who may need additional support in this area, and enables them to plan intervention activities if needed. Teachers will always keep you informed if your child is having additional support. The purpose of home reading books is to encourage independence. These texts should complement your child’s reading and allow them to read and comprehend texts easily. We have found that children who are confident with reading a specific text enjoy returning to that text and from doing this will build on skills like expression, self-correction and a higher level of comprehension. Each week your child will be given one or two books at the class teacher’s discretion; from the Oxford Project X scheme. Each stage in the scheme consists of a set of core reading books and additional story books. Your child will be given a reading book from the higher stage when they have read most of the core books and when the class teacher feels your child is confident in the reading and comprehension of the stories in that stage. ERIC Q – Everyone Reading In Class Quietly! This daily independent reading time allows children to read for pleasure each day in school. Teachers use this time to listen to children read both on a one-to-one basis and in small groups, checking their fluency and decoding skills as well as discussing pupils’ understanding of the language and meaning of the text. This allows staff to teach specific and targeted reading skills in a text that is sufficiently challenging. Reading Skills – This weekly session is used to develop fluency in reading alongside developing reading comprehension skills and building vocabulary. Reading Across the Curriculum – Pupils read a range of books and texts – both in print and online – that are linked to other areas of their learning to enhance their understanding and range of vocabulary linked to a range of History, Geography and Science topics. 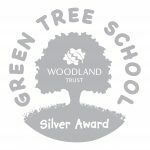 As each year group covers a range of exciting topics, we also encourage children to bring in any books that link with their current topic that they have found interesting and would like to share with their class. Story Time – Across the school, pupils enjoy story time, where teachers share both whole class texts and shorter extracts. By modelling how to read aloud, pupils hear the importance of expression and fluency, and are encouraged to apply it in their own reading, which helps to develop enthusiasm for independent reading. 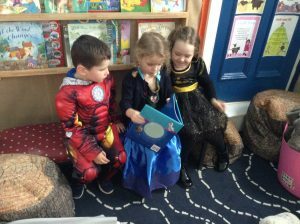 Reading Zone – There is a Reading Zone outside Mrs Tetley’s office where children can choose to come and read for pleasure in a comfortable environment. 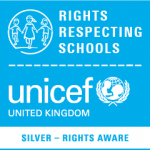 This is available to children at break times and lunch times, as well as a choice of Golden Time activities. Our pupils can choose to bring their own books along with them to read in this environment, or choose from the selection of books on display.